Morphine Dosage: How Much Morphine Can You Take at Once? 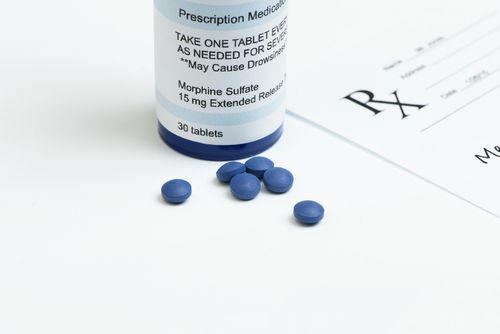 Morphine, a member of the opiate class of drugs, is a potent drug used in the management of chronic pain. Its potency and substantial risk of addiction make it a last-line treatment when other drugs have failed to manage pain successfully. It is a scheduled drug meaning it is a controlled substance available only as a prescription from a qualified medical professional. Morphine dosage relies on the severity of the pain and the level of tolerance the patient has. In patients either starting with it for the first time or with low tolerance, a low morphine dose is used and is usually effective. As tolerance builds, higher quantities may be required. Morphine dosing must be carried out only by a healthcare professional with experience working with potent opioids. As it is used as a last-line treatment for pain, starting off must first take into consideration the prior history of the person. It is important to note that use of other opioid drugs does not constitute a precedent. That is why in all cases, the initial dosage of morphine must be the lowest possible. This is in most cases 1 mg every 8-12 hours. Keen observation is required over the first 25-72 hours of administration to look out for any adverse reactions. As this initial dose may not have the desired effect, dosing always follows a titration path to get the correct dosing for the person. Different persons have several factors that may affect dosing, so the final level reached will vary. The quantity will have to factor in the analgesic effects and the minimization of adverse effects. If the person develops tolerance, then their prescription will have to be titrated further upwards. Dose maintenance in persons with low tolerance can remain at the same level of years. However, due to its high-risk nature, most patients tend to develop tolerance and as such, must have their morphine dosages titrated upwards to the maximum possible dosage. The lowest dose of morphine varies from person to person but in general, is about 1 mg or less of morphine administered every 8-12 hours. Because of its potent nature, this is the indicated initial level for any patient starting off on it, use of other opioids notwithstanding. The average or median effective dose is about 5 mg per administration. At this quantity, pain relief is expected to reduce to levels lower than 3 on a 1-10 rating scale. This level, however, must be arrived at via titration as adverse effects must also be controlled for when arriving at the ideal dose. Depending on the formulation, maximum dose ranges from 120mg per day to as high as 400mg per day in patients with enhanced tolerance. It must be noted, however, that even in patients with a known tolerance, titration must be performed as it is better to administer a low ineffective dosage than a high one which causes life-threatening side effects. A Morphine overdose can cause respiratory arrest and death. In general, overdose levels vary from person to person. While one person may suffer overdose symptoms from taking 60 mg (in hypersensitivity cases), another may have to take over 3000 mg to suffer the same effects (in extreme tolerance and addiction cases). As such, extreme caution must be exercised due to the ambiguous nature of its overdose effects. Age remains the most effective means of determining the ideal dose. As different age groups respond differently, this provides a general standard or reference point for the administration. The neonatal administration is the lowest (<1 mg) as compared to other age groups. 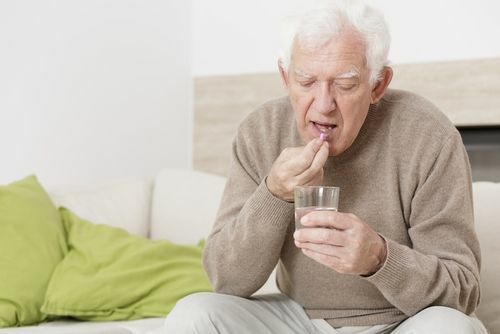 Adults tend to have the highest dosages to manage pain while geriatric patients have a lesser dosage. Factors that affect the amount to give across different ages is the mode of administration. For instance, a morphine drip dose may range from 12-120 mg per day while morphine IM dose would range from 5-20 mg every 4 hours. The condition also plays an important part in dose determination. Conditions that affect dosage may include post-operative pain, pain from myocardial infarction, and chronic pain from terminal cancer. These three situations will merit different quantities and will also factor in issues like tolerance. In post-operative pain, median quantity is 12 mg with sedation being considered an expected adverse effect, especially of morphine IV dosage. In myocardial infarction, a median dosage of 5mg is administered while in terminal cancer, continuous administration of between 0.2 and 1 mg/ml may be recommended. In all cases, however, titration is still required to arrive at the correct dose. In some cases, it may be used to prevent pain when a person is about to undergo a painful procedure. In such cases, it will be administered as an analgesic together with a numbing agent. Morphine doses for pain in these situations are difficult to titrate since the pain has not yet occurred. Morphine doses are arrived at by an experienced healthcare professional after careful titration and observation of the patient. As it can have adverse effects that may culminate in death, it is essential that any person using it must do so according to the strict guidelines supplied with the prescription. While recreational use to get Morphine high is also prevalent, it may be worth noting that in this context, extreme caution must also be observed when taking it to avoid accidental overdose, which can lead to death. If you or a loved one recognizes the effects of morphine dependence and addiction in your life, talking about it can help you find help. Call (888)-459-5511 today to speak with a knowledgeable representative.